The GE Logiq Book XP Vet ultrasound is also compatible with a wide range of transducers that vets can use with both large and small animals. The ultrasound is also compatible with a linear transducer, allowing vets to obtain clear images of tendons. Some of the imaging features with this ultrasound also include 2D/M-Mode, PW and Color Doppler, Real-time Auto Doppler Calculations, Raw Data Processing, and a Patient Information Database. 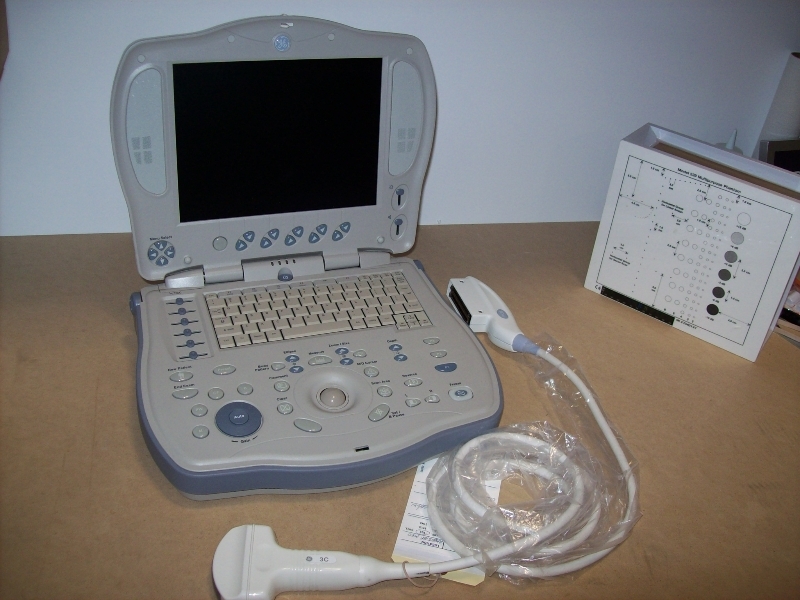 Like most GE portable ultrasound machines, the Logiq Book XP is a safe choice. It provides good image quality for a mid-range price portable vet ultrasound machine. It is durable, there are many parts available, probes are inexpensive, and the image quality is surprisingly good for this used veterinary ultrasound machine.